Joint Managing Director of Kinetic Engineering Ltd, she is the in charge of the Company's overall business developmental activities. She is also very well performing the role of the Director of Kinetic Motor Company Limited and Kinetic Marketing Services Limited. Well, we are talking about Sulajja Firodia Motwani. She is a fitness person, who is very conscious about her health. She is very particular about carrying out one or the other activity for keeping fit and active. She has always been enthusiastic about sports, especially badminton. She has played badminton on the national level. She is also very fond of pursuing adventurous sports like skiing & scuba diving. She tries to spend as much time as possible with her five year old son Sidhant. Prior to joining Kinetic Company, Sulajja worked for a period of four years with a well known investment analytics company, BARRA International, based in California. She has been an active participant in setting the operations of the company in India. Throughout her studies, she has been a rank holder. She has always cleared exams with merit. Her name appeared in the toppers list in the SSC examinations and HSC examinations. She graduated from the Pune University. Thereafter, she went to the United States for pursuing further studies. 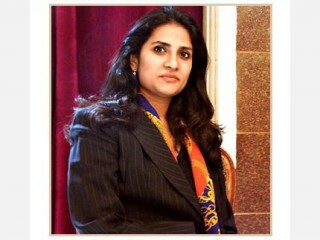 She is an MBA degree holder from the reputed Carnegie Mellon University at Pittsburgh. She is an epitome of boldness and courage. With her strong determination and courage, she has been able to establish a niche for the firm in the business world. The Company has witnessed tremendous expansion during her tenure. From being a mere moped manufacturer, today, it has set its foothold in the industry as a manufacturer offering a complete range of two wheelers right from mopeds, scooters to motorcycles. This major transformation can be attributed to the new competitive business strategy that the Company has adopted, which is driven by the market and customers. Kinetic Company has been constantly coming up with new models to cater to all segments of the society. Sulajja has been instrumental in designing and implementing the marketing strategies of the Company. In the recent times, Kinetic has collaborated with the well known Italian company, Italjet Moto. This acquisition has given full rights to the Kinetic Company to launch seven new scooter models in the country. Kinetic is also working in partnership with Hyosung Motors of South Korea. This major collaboration has led to the launching of the most popular Kinetic Aquila and Comet. These motorcycles are very much in demand. Sulajja has played an active role in plotting the course of action for the Kinetic Company. For her great job, she has received many accolades. She has been called upon to deliver speech in a number of public forums. "India Today", a well known magazine honored her by presenting her with the title of business "Face of the Millennium". It ranked her among the top twenty five business entrepreneurs of the country. She was presented with the Society Young Achiever's Award for Business in the year 2002. The same year, she was chosen as the "Global Leader of Tomorrow" by the World Economic Forum. In the year 2003, the Institute of Marketing and Management bestowed her with the award for excellent performance as the woman CEO. She also received the Young Super Achiever Award from the leading magazine "Business Today" in 2003. View the full website biography of Sulajja Firodia Motwani.